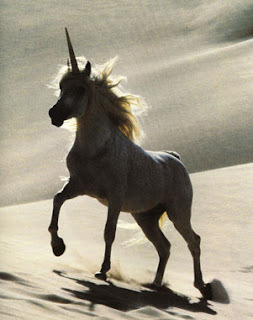 We came to know The Unicorn from one of our online profiles. She was a mother of three recently separated from her cheating husband. She was new to the scene and we instantly felt at ease. It became the kind of friendship we had only thought of as a unicorn until then, a steady single female who was drama free! Too good to be true, but we fell into a semi regular schedule of playing. We were able to have a friendship beyond the bedroom and I even felt comfortable to allow The Hubs to have solo playdates with her - which had never happened before. Life was good. Finally The Hubs asked flat out if we'd be playing again. He managed to pull it off as an upbeat I-want-you-so-bad kind of question to make sure she wasn't thinking we were stalkerish and wanting her to drop everything for us. She told him that she was starting up a relationship and thinks she needs to focus on that for now. Well, damn... that was not the answer we were hoping for! The really sucky part is we are happy for her, while being disappointed for us all at the same time. So, here to the drama-free swing relationship we once enjoyed. You will be missed Unicorn! Hello! I work at a national new york based tv show and came across your website during my research. I am looking to interview people on-camera about unicorns and the swinging lifestyle. I would love to chat with you about the segment to see if you or someone you know may be a good fit. I apologize in advance but I am working on a tight deadline so if there is any way you can give me a call/email me back ASAP I would really appreciate it!